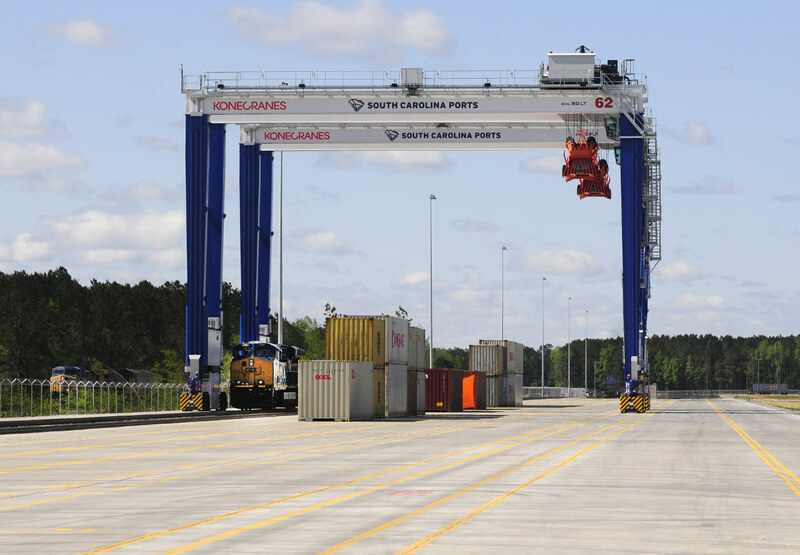 DILLON, SC – South Carolina’s second Inland Port opened in Dillon Monday, following one year of construction that will connect by railroad the Pee Dee region with the Port of Charleston. The $50 million construction project will ship and receive containers filled with cargo and material destined for local manufacturing warehouses and overseas markets. 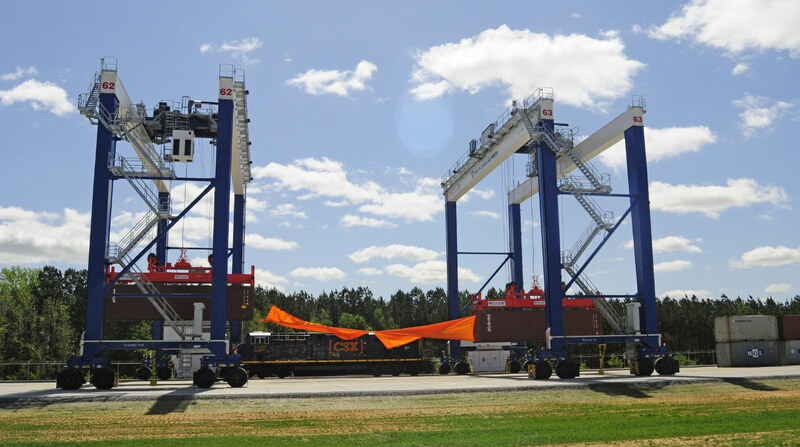 The state’s first inland port opened in Greer in November 2013 and is located between Greenville and Spartanburg. U.S. Congressman Tom Rice, R-SC, State Sen. Hugh Leatherman, R – Dist. 31, Kent Williams, D – Dist. 40, and State Rep. Jackie “Coach” Hayes, D – Dist. 55, joined Gov. 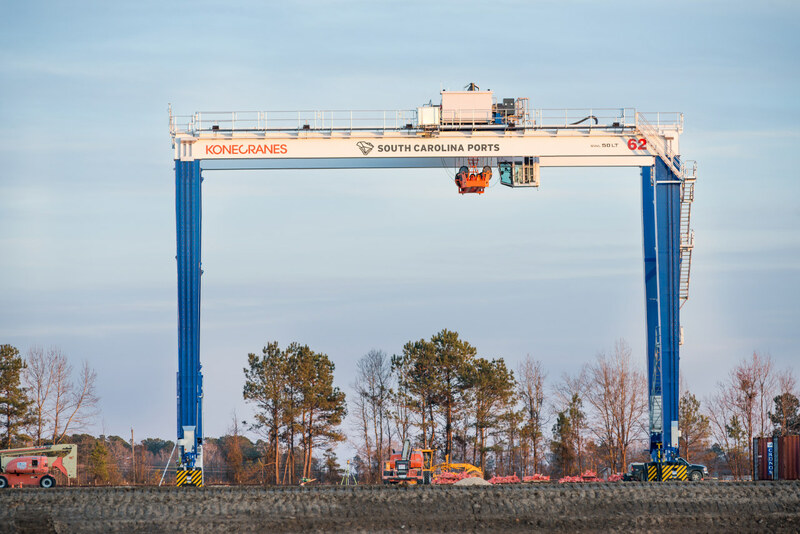 Henry McMaster for the Grand Opening ceremony, which included two 70- to 80-foot-tall rubber-tired gantry (RTG) cranes moving in opposite directions splitting a large, orange ribbon that marked the occasion. 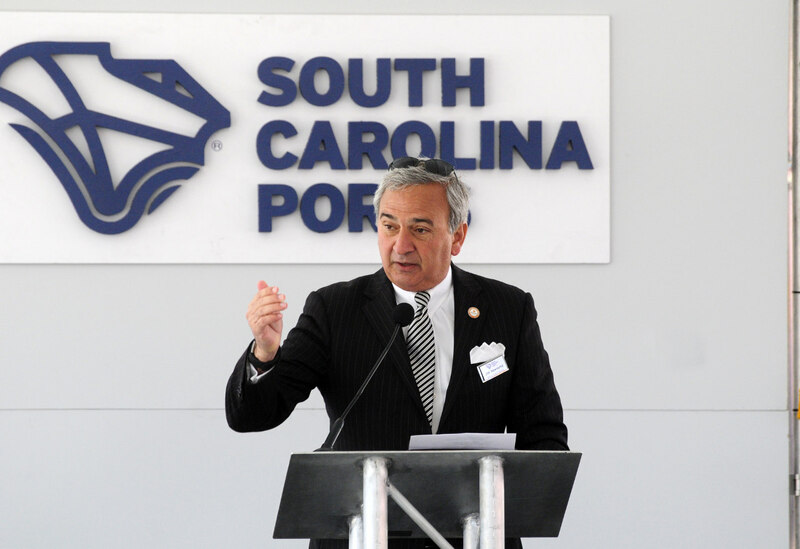 “There’s a new kind of prosperity coming to South Carolina and it hasn’t been by accident,” Gov. McMaster told the enthusiastic crowd of more than 100 business men and women present for the event. Joining state officials at the Grand Opening ceremony were Stevie Grice, chairman, Dillon County Council; Rodney Berry, Dillon County Administrator; Kellen Riley, manager, Industrial Development for CSX; and Robby Roberson, vice president, East Coast Distribution Operations, Harbor Freight Tools, which is significantly expanding its Dillon operation and is the launch customer for the new inland port.